You turn on the device and wait the five seconds before being presented with the startup screen. I didn’t read the instructions. I’m lazy. 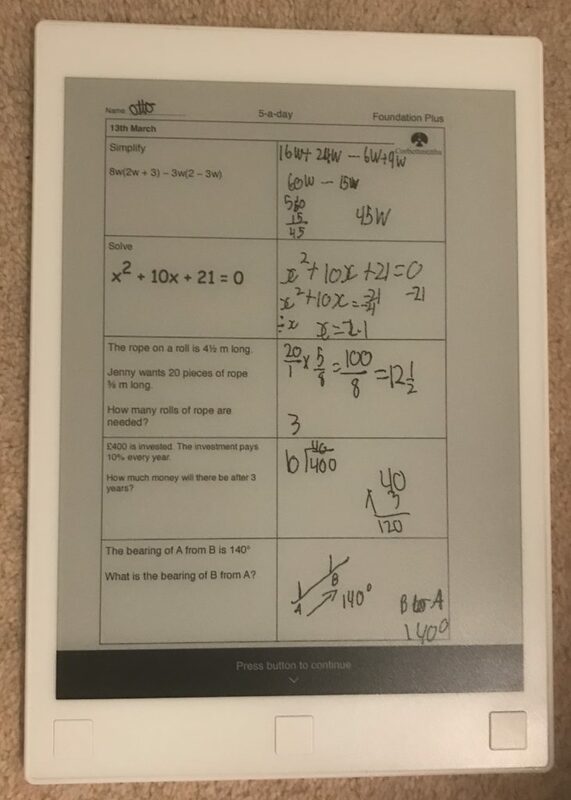 I like to figure things out because devices like this should be simple. If I can work it out, then anyone can. 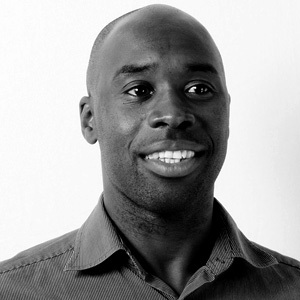 It also reassures me that those people designing for reMarkable have put me at the centre of their creative thinking. That’s important. They passed. 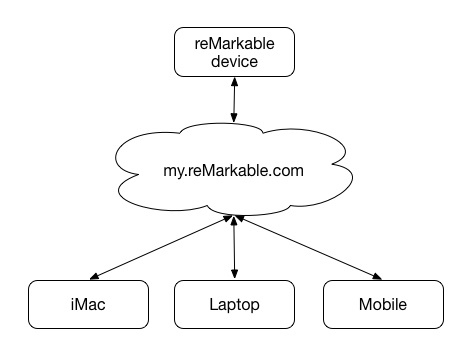 You can link multiple devices to your reMarkable in the same way. I have my iMac, macBook and iPhone as linked devices. Same process. Simple. Now from any linked device you can drag and drop files through the app and it appears on your reMarkable. The desktop app has the same interface as the physical device. You just drag files off your desktop, into your reMarkable app and it syncs up to your device. If you change things on the device, it syncs back across all your linked devices. That’s it. The sync of files across the reMarkable device and linked devices just works. The my.reMarkable.com web site is the master site and all documents flow back and forth through there to all your linked devices. Simple. The reMarkable supports two file types: epub and pdf. So you need to convert your stuff into these file types before you can upload them onto your reMarkable and have them sync across your linked devices. Doing Homework. The Corbett Maths site is a great place for kids to learn maths. I use it set my son’s five questions a day. So I download the pdf file with the five maths questions onto the reMarkable and have my son do the questions. I mark them. Correct them. Erase everything. And go again. Awesome. Annotating Stuff. 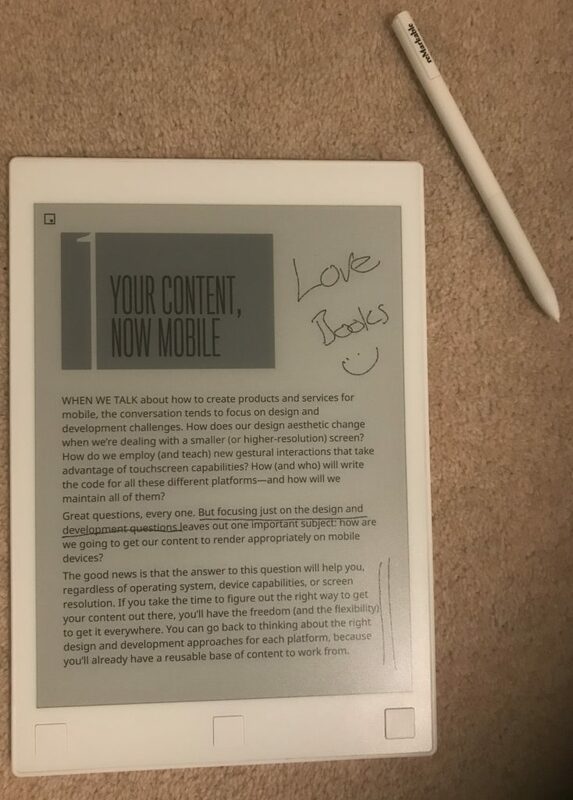 For epub eBooks or presentations, I just read and annotate as a I go. It’s a great way to engage with the written word by overlayer visuals and squiggles. Sketching. 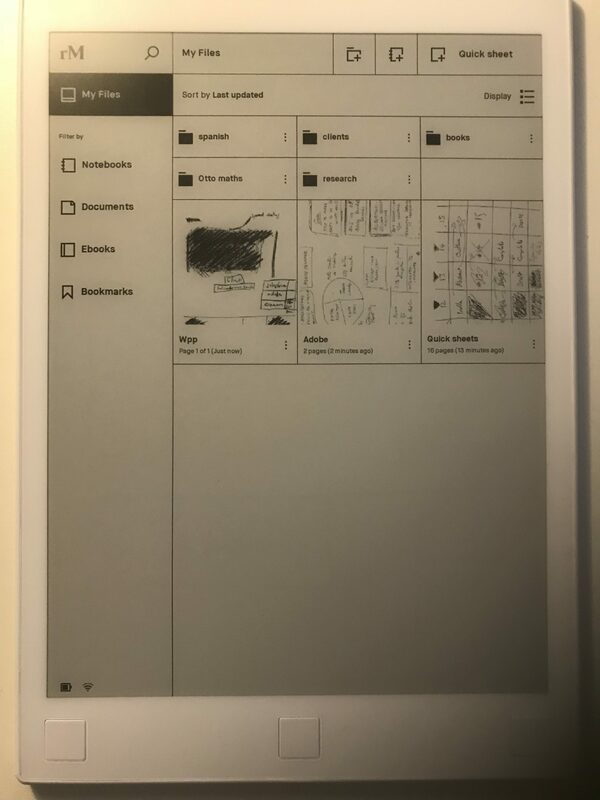 As a visual thinker this paper tablet makes it easy for me get my pictures on paper. So far, I’m finding my reMarkable to be extremely useful. Typically, I love to edit articles and/or correct my paper drafts on paper. Now, I’m doing that on my reMarkable. I’m saving trees. Literally saving trees as do a lot of editing and since Christmas I’ve literally stopped creating hardcopy drafts. Still useful Cleve? (picture a Slyvester Stallone twisted smile). Let’s talk again in a month. It won’t last Cleve, these things never do. That’ll be redundant soon. They’ll be something new. Have heard of Evernote? I get it. We are so quick to judge. We don’t like change. And it’s different. Actually, something quite far removed from paper. But is it really? I’m not a totally convert yet. 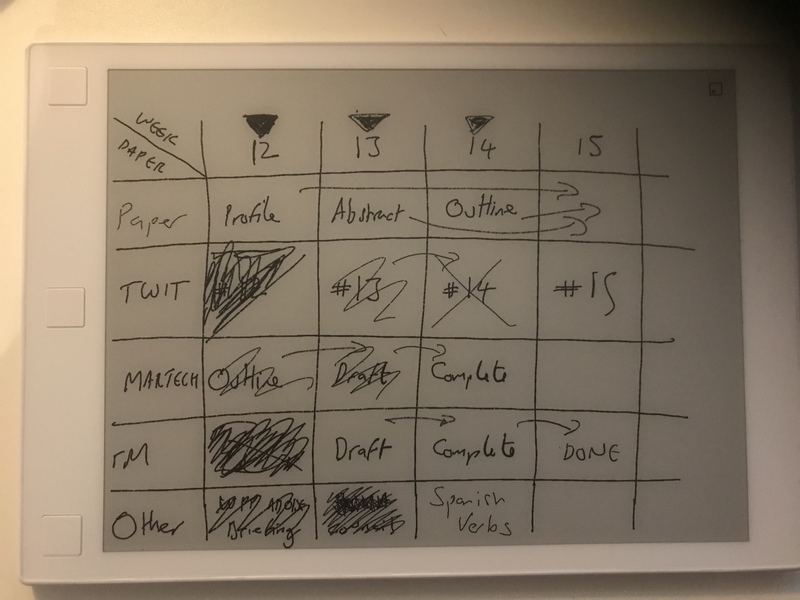 I still use paper. But I’ve noticed that I’m reaching for my reMarkable first, paper second. If it’s out of charge, I use paper, but I get really upset. I also realise that my handwriting is dreadful and my reMarkable holds up a mirror that personal shame. But I’m getting better. If I’m writing, I’m typing. That was me before Christmas, but not anymore. I’m enjoying the change and interested to know where it’ll take me. For now, the jury’s out. I’m just going to see how things go, but I’m really enjoying my reMarkable at the moment. I just need it to support more file types. Maybe autoconvert between popular file types back at my.remarketable.com to make things easy for writers upload. Just a thought..